Martin Scorsese’s Silence is an adaptation of Shūsaku Endō’s 1966 novel of the same name. It is the story of two Portuguese Jesuit priests, Father Rodrigues and Father Garrpe, infiltrating Japan nineteen years after the authorities had banned Christianity and enacted a brutal regime of persecution meant to snuff out the faith. With their destination closed to Christians, especially missionaries and priests, Rodrigues and Garrpe must covertly enter the country. The man who helps smuggle them into danger is the miserable Kichijiro, an apostate Christian. As they seek out Ferreira who is believed to be in the city of Nagasaki, Rodrigues and Garrpe spend time with a group of Kakure Kirishitan “hidden Christians” who had been led for decades by the layman Ichizo following the expulsion and martyrdom of the missionaries and Roman Catholic priests who had served their village. Faithful Christian men like Ichizo could baptize but as Roman Catholic converts could not hear confession or celebrate Mass and the Christian community believed firmly that Rodrigues’ and Garrpe’s arrival was an answer to years of prayer. What follows in the film is an investigation of the genuineness of Christian faith and the genuineness of apostasy—a formal denial of Christ. The fulcrum of this investigation is the perceived silence of God amid extreme suffering and persecution. This comes into sharp focus once the Christians and their Jesuit priests are captured. What caused their long years of suffering? What is causing their current suffering? The Japanese inquisitor, Inoue, tasked with eradicating Christianity, puts a fine point on these questions when he says to one of the Jesuit priests, “The price for your glory is their suffering.” Essentially this causes theological questions to emerge: is the faith of the Jesuit priests, which is being tested by Inoue, rooted in pride, arrogance, the desire to cling to vain personal reputation, and fear of reprisal from the hierarchy of the Roman Church, or is it rooted in Christ? Is the faith of the hidden Christians genuine or is it misguided? What is the relationship between the faith of the Jesuits and the faith of the hidden Christians? Add to these the question: is the apostasy of the miserable Kichijiro genuine? Could he still have faith in Christ—a faith that trusts in the forgiveness of God provided in Christ and delivered through confession and absolution? The film investigates the genuineness of Christian faith and the genuineness of apostasy—a formal denial of Christ. The fulcrum of this investigation is the perceived silence of God amid extreme suffering and persecution. 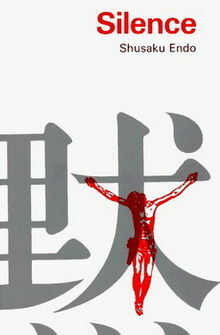 While Endō is Japanese and Scorsese is American, as Roman Catholics they share the same confession of faith. This is important because it places Silence squarely into the realm of Christian film and a welcome inclusion in the category of “faith-based film.” The quality of the source material and the final product delivered by Scorsese are a cut above other films in the same genre. Movies like God’s Not Dead 2 and Heaven is For Real, while enjoyed by some, are generally panned by critics as one-dimensional and poorly executed. Not so with Silence. Endō’s book is clearly the work of a skilled writer and the film’s production and direction surpasses even a truly great Christian movie like Roland Joffé’s 1986 film The Mission, which likewise deals with Jesuit mission work of the same era. On a technical level, Silence makes a film like Mel Gibson’s The Passion of the Christ seem rough around the edges. 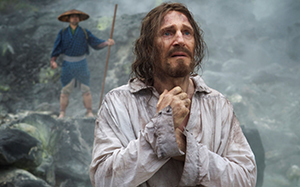 Some may criticize Silence because of its 161-minute runtime and pacing, but Scorsese seems interested in exploring the relationship between “exposure” and “claustrophobia.” The director picks up on this theme from Endō’s book, conceiving of his Jesuit priests almost as rabbits evading a hawk—the hawk being the Japanese inquisitor, Inoue. Scorsese received Endō’s book from an Episcopalian Bishop, Rev. Paul Moore, following the release of Scorsese’s controversial film The Last Temptation of Christ. About a year after receiving the book he read it while in Japan and was struck by its story. Over nearly 30 years he worked on and off to bring Silence to the big screen. It’s clear the film is a labour of love, and it is also clear that this is a carefully considered film. The focus is on simplicity both in filmmaking and in storytelling and this plays into one of the central themes: what does faith in Christ look like when it is stripped down to its most bare essentials? This question may be unsettling to those viewers who rely on external things—rosaries and images of saints, for example—to help guide their active faith and facilitate making satisfaction to God for their sin. This film strips away outward trappings of devotion and piety, focusing on the impact of having no regular place of Christian worship and the removal of the celebration of Holy Communion. By doing this Silence asks: what does faith in Christ look like when all a person has is their prayers and their faith? This causes another question to emerge: is the Christian faith synergistic or monergistic in nature? Silence asks whether the things people do in their daily devotion bring them into, keep them in, and preserve them in the faith “unto the end” or not? Do the trappings and rites of the faith, from the essential to the insignificant, when practised devoutly act as a co-operation in salvation? Are they truly necessary for gaining merit? Are they necessary for Christian faith? For those unfamiliar with the term, synergism within Roman Catholic theology is the belief that cooperation occurs between an individual and God to produce a combined effect greater than the sum of their separate parts. Basically, it assumes the will of humanity after the fall “has not been totally corrupted” (Catholic Catechism 405), and for this reason, while the will is wounded, it can still participate alongside the will of God. Under such a system the individual’s failure to pull their weight regarding moral and spiritual matters can produce great despair. Here we read it is God who causes faith, gives it life, and guards and keeps it even through trials. This is not the work of the individual acting through their faith but rather God’s steadfast love working in them. Likewise, in 1 Corinthians 1:4-10, St. Paul teaches that the grace of God in Christ Jesus is given as a gift to the individual and that it is God who sustains the individual in a guiltless state unto the end. If conversion, the Christian life, and eternal perseverance relied on the cooperation of the individual or quality of their faithfulness, then despair becomes a real problem. 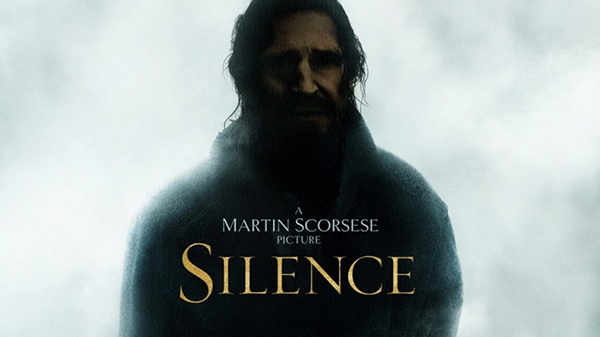 Silence digs into the despair that can accompany a synergistic confession of faith in a time of great persecution. It asks: why do some of the hidden Christians have the strength to become martyrs while others, like Kichijiro, struggle with weakness in the face of persecution? The dramatic edge of the film is a question of whether the faith of the Jesuit priests will be found wanting under pressure. Silence digs into the despair that can accompany a synergistic confession of faith in a time of great persecution. It asks: why do some of the hidden Christians have the strength to become martyrs while others, like Kichijiro, struggle with weakness in the face of persecution? St. Peter’s pre-crucifixion approach to faith is an important element of Silence. Rodrigues and Garrpe frequently express this same kind of flawed conviction. Early in the film the words of Jesus to Judas His betrayer—“What you are going to do, do quickly” (John 13:27)—are presented as a contemplative quandary for one of the priests. The recollection of Jesus’ words become a sort of foil to the brash confidence which is otherwise displayed. This quandary becomes more and more important as the pressure to apostatize increases and the film finally zeroes in on one of the two priests. At the apex of the film, the priest must confront whether Christ, out of love, would apostatize His faith to save others from suffering? If so should the priest apostatize? Would that be the Christ-like thing to do? The clear Scriptural answer is no. Out of love Christ died for the sins of all people to give them eternal life and He was faithful to His Heavenly Father right to His last moment when He looked up and with a loud voice, said, “Father, into your hands I commit My spirit!” (Luke 23:46). His lament—“My God, my God, why have You forsaken Me?” (Mark 15:34)—is a reference to Psalm 22 which is ultimately a Psalm of trust in God. So, setting aside any notion that the Jesuit in Silence is a Christ character, a subsequent question surfaces: Who is the priest most like in relation to Jesus? Is he a Judas or is he a Peter? All analogies eventually break down when pushed hard enough and viewers will notice that the Scriptural account of the lives of Judas and Peter do not perfectly fit the central protagonist of this tormented priest. Nevertheless, the question of the nature of his faith towards Christ remains front and centre until the film’s last frame. Reviewing most Hollywood films from a Christian perspective is often like panning for gold. The prospector ends up with a pan full of gravel, looking—sometimes fruitlessly—for a speck of gold. Silence is like having a pan full of gold with just a few pieces of gravel to pick out. Mature Christians and mature open-minded non-Christians will find a lot to reflect upon. The more a viewer brings to the film, the more he or she will draw out of it. Each person will bring their confession of faith to the movie, even if it’s faith in nothing. Silence asks a lot of its viewers; it is truly a contemplative film. The cinematic storytelling speaks as much about the faith of Scorsese as it asks its audience questions of faith. Reviewing most Hollywood films from a Christian perspective is often like panning for gold. The prospector ends up with a pan full of gravel, looking—sometimes fruitlessly—for a speck of gold. Silence is like having a pan full of gold with just a few pieces of gravel to pick out. The subject matter of Silence is challenging and is not easy to view. While the story is fictional, persecution is still very real and many people are challenged to abandon or renounce their faith even today. In the last two years, an estimated 195,000 Christians were martyred for their faith. How many others apostatized under the pressure of psychological and physical torture? 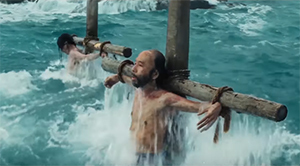 Endō’s book and Scorsese’s film give a voice to Christian martyrs generally and specifically a voice to the Christians who were the target of persecution in 17th century Japan, a voice long ‘silent’ on the stage of history. Rev. Ted Giese is associate pastor of Mount Olive Lutheran Church (Regina, Saskatchewan). He is a contributor to Reformation Rush Hour on KFUO AM Radio, The Canadian Lutheran, and the LCMS Reporter, as well as movie reviewer for the “Issues, Etc.” radio program. Follow him on Twitter @RevTedGiese.